The “call the Courier” column has been in place for some time. This interesting piece will bring back memories no doubt of the highway alterations in Black Hawk County. 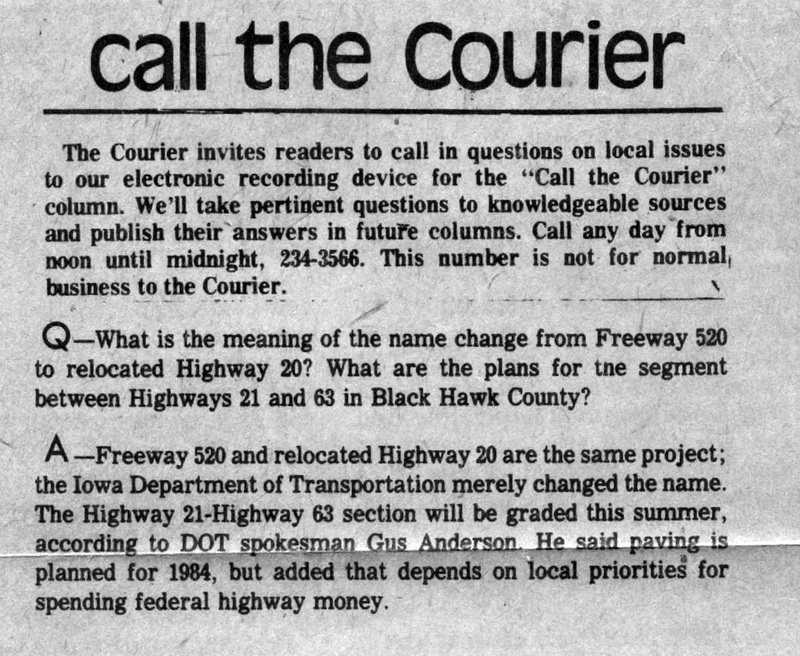 “call the Courier” has printed a wide variety of questions over the years. The full date was not available for this clipping, but appears to be early in 1983. According to an unofficial website, The Iowa Highways Page, the 3 mile segment between US 63 and IA 21 opened December 7, 1984.